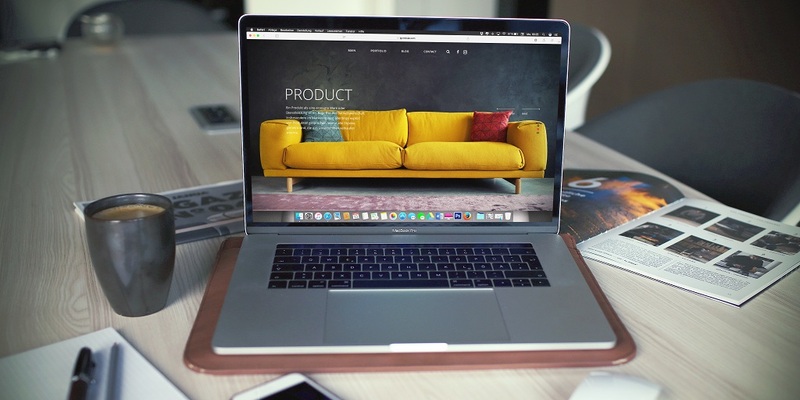 Selling on eBay is lucrative, but with so much competition, and new listings popping up every day, you need to make sure that your products really stand out. Using traditional SEO methods, conversion rate optimization, and UX (user experience) principles, you can improve your listing and ensure that you keep on making those all-important sales. Here are some key optimization tips that will help both the novice seller, as well as the more advanced eBayer. (Before you start optimizing — check whether you’ve committed any of these seven eBay shop cardinal sins). Online, being niche-specific pays off. You will be missing out on important sales opportunities if you target your listing too widely. Make sure that your listing appeals to the dedicated niche buyer, rather than casting a wide net.Online, being niche-specific pays off. You will be missing out on important sales opportunities if you target your listing too widely. Make sure that your listing appeals to the dedicated niche buyer, rather than casting a wide net. Use niche vocabulary in both the product title and description: keyword research will help you here if you are not sure what vocabulary to use. A paid keyword research tool like Semrush is a great investment, but you can also collate keyword data from free tools like Ubersuggest. It’s a good idea to save your keyword data in spreadsheets and have it open when you are writing listings or updating your shop. A more precise vocabulary is better for you and the buyer, will result in a conversion uplift. Just like with regular SEO, try to make your product title and description as contextually relevant as possible. There are a few things that you can do to maximize listing potential, from correct formatting and structure to content quality. (Here’s an anatomy of the perfect listing). It’s a good idea to include product numbers and references on your listing, as some shoppers will be searching for specific product identifiers. Fast load times are a plus so create short listings, using tabs and custom pages within your store for more content if needed. Make sure your listing is fully mobile-optimized (you have to set your viewport up correctly). Revisit your listing quality from a content perspective — have you really explained product benefits? Is your copy sales-led and well-written? The best eBay listings are short and punchy. Unlike Amazon, sellers can gain traction through community engagement and community content. Guides, forums, blogs, social media, and reviews will earn you valuable community points. Online, especially on sites like eBay, you have to quickly build confidence and trust. Buyers can be wary buying from unknown or new sellers — make sure that you mitigate any perceived risk to them. Is there a big drawback to buying your product, or is there a question that people often ask when they do buy? Why not address these objections in your listing openly and honestly? Not sure if your listing makes the grade? Ask customers and associates to critique your listing. What makes for great eBay imagery? People online buy with their eyes, so make sure that your imagery strikes a balance between attractive and professional and genuine. Anything too glossy, and people get suspicious, but anything too low quality and your sales will suffer. Taking your own photos? Do you know how to actually take good product photos? Video can be an inexpensive way to improve conversions, but learn a little bit about eBay product video best practices first. Just like in SEO, competitor research is a great way to maximize your listing potential. You need to see what others are talking about in order to be competitive in a shared marketplace. Spying on product descriptions outside of eBay is obviously a good idea too. Start with the obvious one (Amazon), but you should also check out any Shopify stores that dropship similar products (there are a ton of Shopify sellers jumping on eBay niches right now — join their Facebook groups to find out more). Try to see how they structure their product and category pages for maximum conversions — these store owners tend to work really hard on their conversion rate optimization and you could probably learn a thing or two! Use conversion tracking in order to improve your own listing; it’s easier to track improvements when you have an accurate benchmark to start from. Selling on eBay is a great way to make money, but make sure that you maximize the potential of your listing through great content, keyword research, and good niche selection. What do you think is the most crucial element of an eBay listing? Gareth is an SEO pro with over a decade in the industry. Now based in Bristol, UK, his specialisms are blogger outreach and content. You’ll find him at his desk, drinking green tea and working on his latest campaign.